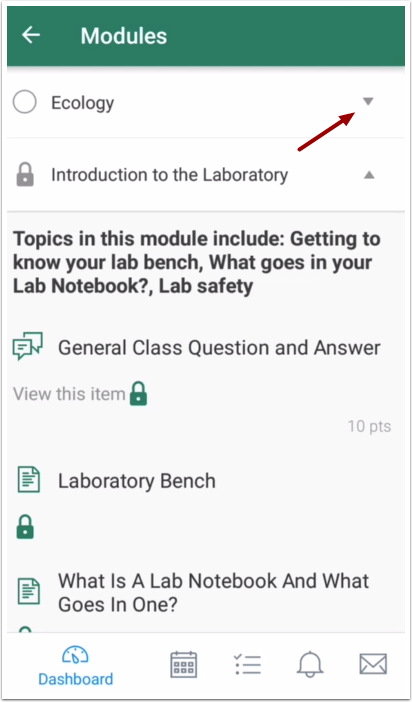 How do I view Modules in the Student app on my Android device? 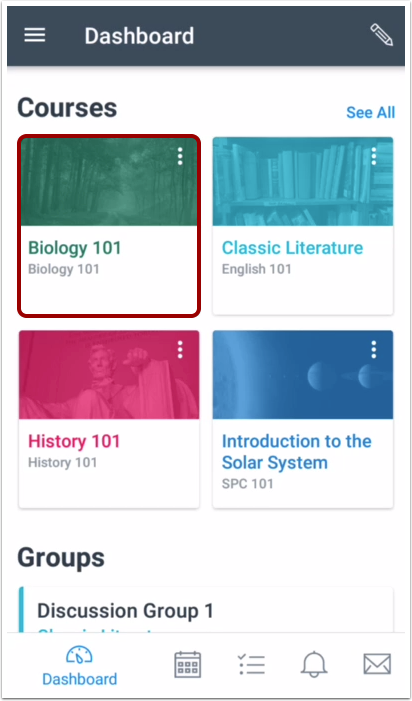 The Canvas Student app gives you access to Modules in your courses. The Course Navigation menu matches the browser version of your Canvas course. If Modules is not available in Course Navigation, it will also be hidden from view in the app. 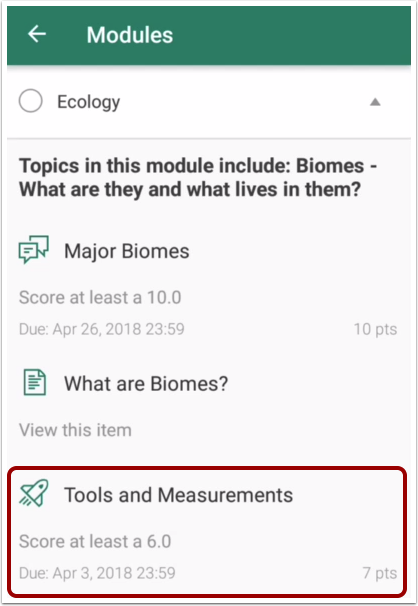 All module prerequisites are supported in the Canvas Student app except for the Mark as Done feature, which shows the requirement in mobile modules as "must view." 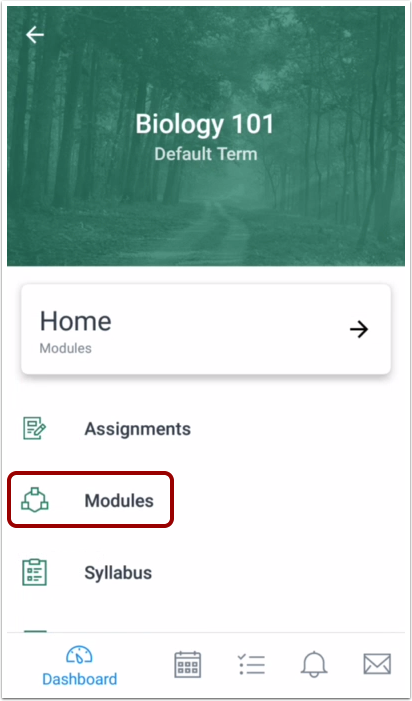 Note: You may need to swipe your screen to view Modules in the Course Navigation menu. 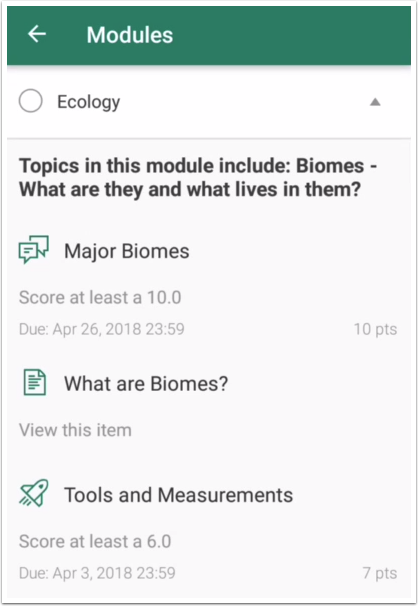 The app displays all the modules in your course. To collapse and expand modules, toggle the module arrow. Modules also shows the status of each module. Once a module has been completed, the module includes a checkmark next to the module . If a module is locked , it displays a locked icon. Locked modules require completed prerequisites before they can be viewed. 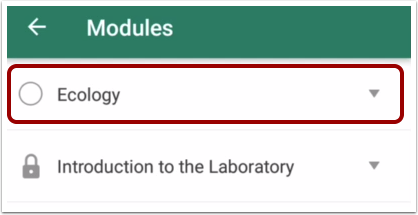 To view items within a module, tap the name of the module. View the items in the module. 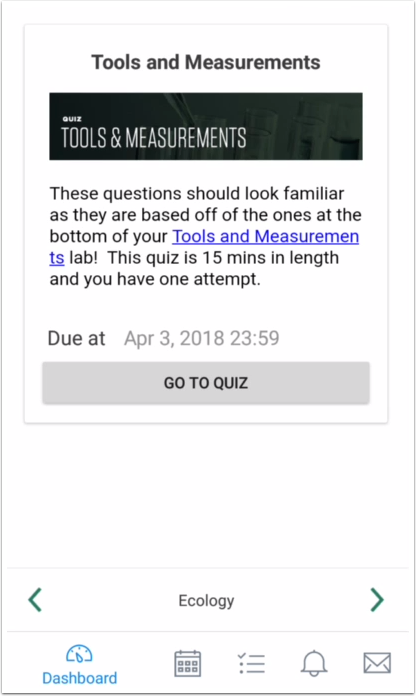 To open a module item, tap the name of the item. 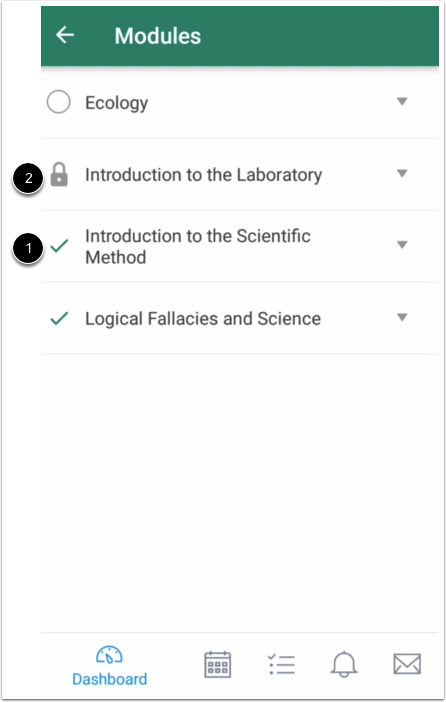 Previous Topic:How do I view Course Files in the Student app on my Android device? Next Topic:How do I view grades in the Student app on my Android device? 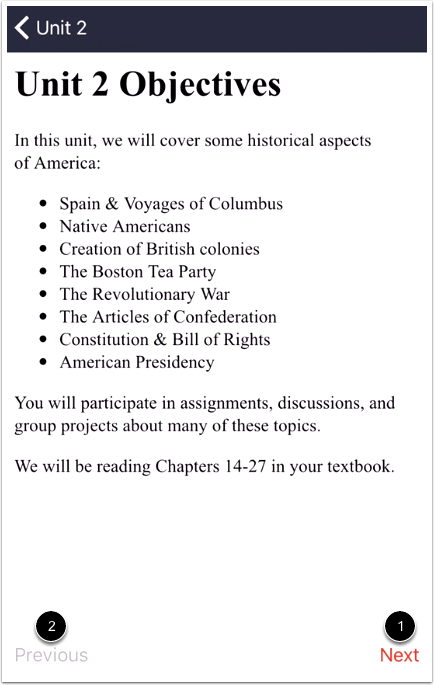 Table of Contents > Course Features > How do I view Modules in the Student app on my Android device?